Puppy shots are an important part of routine puppy care. Un-vaccinated puppies are vulnerable to all sorts of infections and diseases, some of them serious and often fatal. The information on core, and non-core puppy shots, as well as the timing of them contained in this article, are in accordance with the 2017 AAHA (American Animal Hospital Association) Canine Vaccination Guidelines. These are the most up to date veterinary guidelines for canine vaccinations in the USA. When do puppies get their shots? Protects against Rabies, a deadly viral disease which affects your pup's central nervous system. These same vaccinations are also recommended by the AVMA (American Veterinary Medical Association). There are no 'cures' for the diseases these core vaccines protect against. If you're worried that the vaccinations will hurt your pup, don't be. The discomfort is minimal and most puppies barely notice the needle. 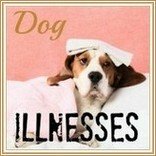 However, adverse reactions to puppy vaccinations can, and do, happen. Some breeds are more at risk of side effects. Small breeds given multiple vaccinations at the same time are most at risk. It's important to be aware of the signs of a reaction. This is the recommended timeline for puppy vaccinations. Puppies normally get their first shots around 8 weeks old, but they can be given earlier if needed (ie with stray, abandoned pups or those who were formula fed). Three sets of combination vaccinations are usually given at 3 week intervals. 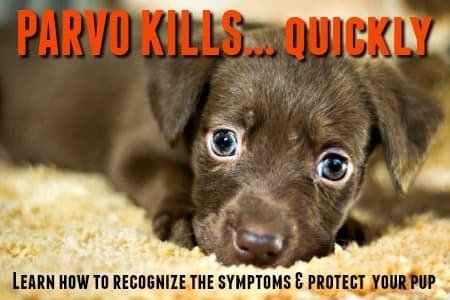 The most common combination is a 3-in-1 shot for Distemper, Parvo, Adenovirus. Sometimes a 4-in-1 is given to include Parainfluenza. * Breeds which are especially vulnerable to Canine Parvovirus can be given an additional (fourth) Parvo vaccination at 16 weeks of age. This includes Rottweilers, Doberman Pinschers and Pitbull Terriers. All puppies need to have the core shots to protect them from the most common dog illnesses. But there are also other diseases/conditions that some pups may be at risk of catching. Other times the activities your pup will take part in, or where he'll spend a lot of his time is the key. Lyme Disease (a bacterial illness usually affecting joints, but can also spread to the major organs). There are also combination vaccines which contain the core vaccines and some of the optional ones. The 5-in-1 puppy vaccine which also includes protection against Leptospirosis and Canine Parainfluenza. The 7-in-1 puppy vaccine which gives additional protection against other strains of Adenovirus (CAV-1 which affects the liver) and Leptopsirosis. Although these combo-shots are given very routinely, research is begining to indicate that giving several vaccines as a combined shot may lead to a higher risk of allergic reactions and other side effects. If you're concerned about any of this discuss it with your veterinarian. You can ask for some vaccinations to be given singly (if your vet has/can get) these. After the first set of shots you can also ask for your pup's blood titers to be checked before you give him any subsequent ones. a 'shot' or nasal drops. Veterinary care is fairly expensive, even for routine things like vaccinations and preventative - BUT it is absolutely essential if you want your puppy to survive and to live a happy and healthy life. Raising a puppy and keeping him happy, healthy and well-fed throughout his lifetime is NOT cheap. Before you add a dog to your family it's a good idea to make sure you can afford his care. Getting Fidos' puppy shots taken care of is going to be one of the first puppy-parenting health-care responsibilities that you face, so it's understandable that you'd like to know how much they are going to cost. Unfortunately there's no 'one-size-fits-all' answer to this question because a lot depends on where you live, your own veterinarians' protocol, your income and so on. 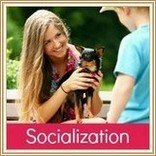 All regular veterinary clinics offer vaccinations, and there are low-cost vaccination clinics (including the SPCA & VetCo which are found in PetCo stores) in many towns and cities. Some vets (eg. Banfield clinics which are found in Petsmart stores) offer annual programs and package deals for vaccinations and other routine procedures. Banfield offer wellness plans that vary in price according to your puppy/dogs' age and needs. So for all 3 sets of shots & visits, including the Rabies shot, you're looking at.. Here's a look at what it may cost you for basic vaccination & deworming package. Vaccinations can be administered separately for $32 each. Individual veterinary clinics charges vary considerably, but in most cases you will be paying for an office visit, a combination vaccine, bordatella and a routine deworming. Average costs for a the combo vaccine and additional non-core vaccines range between $20 and $40 per shot, per administration. Rabies vaccinations are usually between $15 and $30 but can be more. Vaccination, or over-vaccination, is a hot topic these days. Both for people and animals." Some veterinarians prefer to start vaccinations a little later at 9 or 10 weeks due to concerns about the effectiveness of vaccines when given too early and the possible side effects. As your puppy is very vulnerable to disease until he's been fully vaccinated, the only problem with this 'late start' is that you will need to keep him well clear of any strange dogs or outdoor/indoor areas where other dogs may have been for longer. There is a fair amount of conflicting opinions among vets and veterinary care professionals as to how many vaccinations puppies (and dogs) should be given. How often they should get them, and how the shots should be given (singly or as combination vaccines). Currently the AAHA and AVMA continue to recommend yearly boosters for all dogs. Research is beginning to show that this protocol is not strictly necessary - and can even cause adverse reactions and long-term health problems for our dogs, and it's not only dog owners who are recognizing these concerns. Dr Mansfield admits that 'injection site tumors (specifically in cats but these are also found in dogs), vaccine associated autoimmune disease and other post-vaccinal reactions' do occur. For non-core vaccines, his article states'Administration of vaccines that are considered to be NON-CORE should differ based on the risk assessment of the individual dog.' This is in agreement with what I have discussed earlier on this page. After Fido has had his first set of puppy shots, you can ask your vet to check the titers in his bloodstream before he gets any more vaccinations. 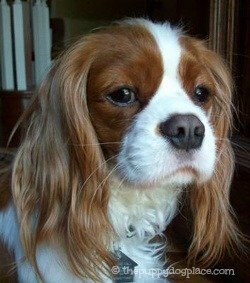 Titers are a measurement of the antibodies to disease which exist in your pup's bloodstream. After being vaccinated, it takes about 10 days for the antibodies to show up in tests. 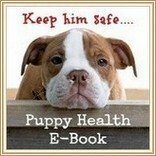 To find out whether or not your puppy's vaccinations have boosted his immunity to a particular disease, or diseases, you can have your vet run a blood test for those specific antibodies about 2 weeks after he's been vaccinated. If the titer level is high enough to confirm immunity, then your pup is unlikely to need to be re-vaccinated. Generally once your puppy has had three sets of the combination puppy shots, plus the Rabies shot, he will be well protected. Protection isn't immediate though, and I would recommend waiting at least a week after your pup has received his final set of puppy shots before venturing out into public areas. There are however no guarantees and even after three sets of combination vaccines occasionally puppies still get sick. So always be careful to avoid dogs who might appear sick, or areas where stray dogs might roam. 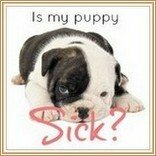 Although most puppies hardly even notice when their puppy shots are given, and show no ill effects afterward, it's not terribly unusual for a pup to have an allergic reaction of some sort to a vaccine. Adverse reactions to puppy shots are more often seen when the vaccine is a combination one. This is because these put a heavier load on your puppy's immune system. Many times these reactions are mild, and last only a day or two. But now and then they can be severe enough to warrant a trip to the veterinarian. All puppy owners should be aware of the signs and symptoms of an allergic reaction, because if your puppy does have a bad reaction, you need to know! Lethargy or a depressed/sad looking little pup! 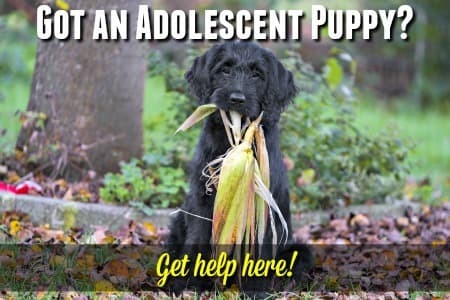 BUT, don't worry, in these cases your puppy is just feeling a little tired or 'off color' and the symptoms are short lived and don't usually need veterinary treatment. The correct dosage of Benadryl for a dog is 1/2mg per pound of body weight, given every four hours. I'd recommend using tablets rather than the liquid because liquid Benadryl contains alcohol which is bad for dogs. With very young pups or tiny breeds, even this dosage may not be safe... so again TALK TO YOUR VET FIRST! Swelling is often especially noticeable around the mouth, eyes, face and neck, although welts can appear anywhere on your puppy's body. This kind or reaction usually occurs within a few hours of the vaccination. It can progress and become severe, so if you notice any swelling or hives appearing on your pup, take him back to the veterinarian's office right away. As an interim measure you can give your little guy/gal some Benadryl to help reduce this swelling - but do check this with your vet first. Veterinary treatment for this type of reaction may also include steroids and other anti-histamines. Some of the other side effects can cause serious problems or lead to chronic health issues, so if your pup has any of these contact your veterinarian for advice. 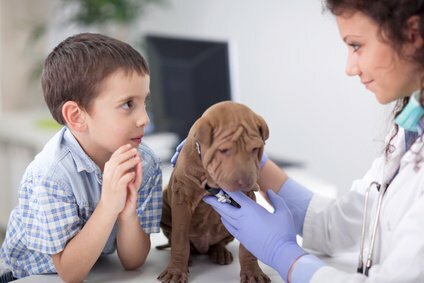 An relatively uncommon auto-immune condition called 'Puppy Strangles' (aka 'Juvenile Cellulitis) can occasionally result as an adverse reaction to vaccinations. The first symptoms are swelling of the face (especially the muzzle, lips and around the eyes), the appearance of pimples, boils or pustules on the face which ooze and crust. This is followed quickly by swelling under/around the jaw area due to rapidly enlarging lymph nodes. The puppy can soon look as though he's being strangled, hence the name for the condition. This can be treated very effectively with antibiotics and cortico-steroids, but prompt treatment is essential as the condition worsens rapidly and can even be fatal if left untreated. Some dog breeds are more susceptible to this condition than others and these include Golden Retrievers, Dachshunds, Gordon Setters and Siberian Huskies - but ANY breed can develop it. This is life-threatening and usually strikes within minutes of the vaccine being given. You might first notice vomiting/diarrhea and a loss of balance. Anaphylaxis causes a sudden drop in your puppy's blood pressure, and generalized swelling which can result in breathing difficulties, seizures and even death. It's an emergency situation and if you have already left the veterinarian's office you need to get your pup back there immediately. He/she may need oxygen, IV fluids or other medical intervention, so don't waste any time. Luckily moderate to severe allergic reactions to puppy shots are pretty rare and are generally much less of a danger to your puppy than the diseases they prevent. IMPORTANT: If your puppy does have a bad reaction to his shots, it's important to remind your veterinarian about that at his next vaccination appointment. Some vets may want to give a puppy like this an antihistamine before giving the shots, and/or to monitor him for a while afterwards... just to be safe. It's also possible that your vet will recommend giving the vaccines separately rather than as a 'combo' vaccine to reduce the risks of a reaction. There seems to be a higher incidence of a severe allergic reaction, such as anaphylaxis, to the vaccines for Rabies, Parvo and Leptosirosis. These are all 'killed vaccines' (ie they don't contain live strains of the disease they are protecting against. At first this seems counter-intuitive, surely if the strain isn't live it isn't as strong, right? WRONG. Killed vaccines contain higher concentrations of the virus in each dose than live vaccines do. Killed vaccines also contain additional added ingredients (designed to enhance the immune system response) which live vaccines do not. Dogs who are mostly white in color, or have 'diluted' coat colors (such as blue or fawn, or blue-fawn) and merle or black/white color combinations seem to be more at risk. So, the bottom line is that you need to watch your puppy closely for the first day or so after he's had his puppy shots. Any major reaction is most likely to occur within 24 hours (often much sooner). An allergic reaction of any sort is unlikely to happen after the first shot though, it's subsequent ones that you should pay particular attention to. Although it's necessary to be aware of what could happen, don't panic about this! Thousands of puppies are vaccinated every day with no ill-effects, or only a very mild reaction. The risks you run if you don't vaccinate your pup are much higher, so protecting your puppy is way too important to be forgotten or avoided. Adult dogs must by law receive dog 'booster' vaccinations for Rabies. There is also a booster recommendation for the other CORE vaccines. If you prefer not to vaccinate without knowing whether or not your dog NEEDS another shot, your vet can check the antibody 'titers' (basically the level of antibodies in your dog's bloodstream to any particular disease) and vaccinate only if they are too low. This can help to prevent over-vaccinating your dog, which may lead to auto-immune problems and other illnesses. BUT these tests do cost extra money. Current AAHA guidelines recommend booster shots be given every three years (rather than annually as it has been in the past). However, these are only guidelines and many vets continue to want to vaccinate annually. The first Rabies vaccination a pup gets is good for one year and state laws mandate that a booster is given one year later. From that point on you have the choice to give your dog a 1-year Rabies shot (ie needs a booster every year) or a 3-year Rabies shot (needs a booster every 3 years)... providing you're in a state which allows for this and your veterinarian offers the 3-year option. What makes this interesting is that the 1-year and 3-year vaccines contain the same drug, in the same concentration/amount! The only thing which changes are the state laws regarding Rabies vaccines so many, many dogs are being needlessly vaccinated every year. Current research shows that the protection provided by one Rabies shot is between 5 and 7 years, and potentially more. Unfortunately due to the severe nature of Rabies as a disease and the state laws which govern Rabies vaccination of pets, you don't really have a choice in this one. If you've adopted an older pup or adult dog and don't know their puppy shots history, then the minimum vaccinations you'll need to get them are against Distemper, Parvo and Hepatitis - and of course, Rabies. He/she will need two rounds of these vaccines, given 3 weeks apart. Vaccination is a BIG topic and scientific research is still very active in this area.